Browse the MBOX folder in which desired files are stored and then, continue with conversion procedure with the software. After this, when Current Status window appears wait for desired .mbox/.mbx files to be converted succesfully and then immediately click on Stop button. 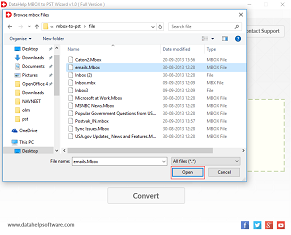 This will help users in performing selective files conversion from the selected MBOX folder. While performing MBOX to Outlook conversion, it provides users an option to simply drag any number of MBOX file and drop them anywhere in the provided panel. It will automatically export the selected MBOX mailboxes to PST file format. 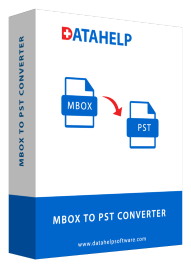 Another impressive feature offered by MBOX converter software is that it maintains the accuracy and consistency of data and attributes during and after MBOX file to PST conversion. 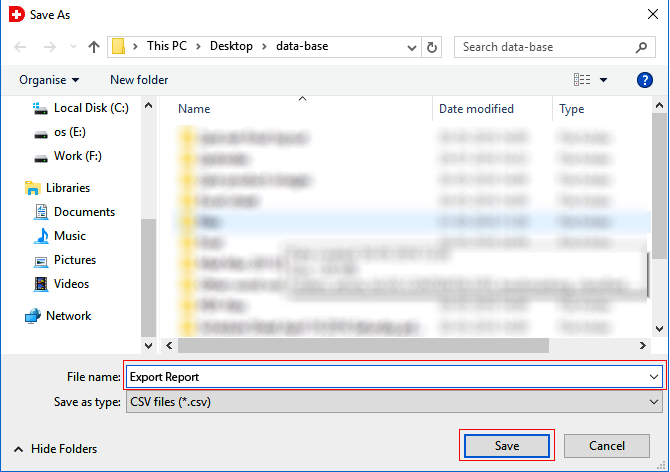 You will get data in the same format with all its associated attributes such as to, cc, header, bcc, message size, etc., after exporting all emails data in MS Outlook. A MBOX file is created or supported by many email applications having different formats like .mbox, .mbx, or MBOX with no extension. This software is developed with such advance algorithms that it supports the source file of any format or any email client like Apple Mail, Thunderbird, Eudora, Spicebird, SeaMonkey, Entourage, Turnpike etc. The software allows you to convert all MBOX folders like Inbox, Sent, Archives, Trash to Outlook importable PST extension. It creates a new PST file and imports entire MBOX folder's emails into a single PST file, it will accessible in Outlook. If you need to create a separate PST for each folder then you need to uncheck "Create Single (.pst) File" option. Import files option allow you to add multiple MBOX files into software panel at a time to perform batch conversion of MBOX files, as well as DataHelp MBOX to PST converter application, provides import Folder option by using this option you can add the whole folder in which all MBOX files are stored. 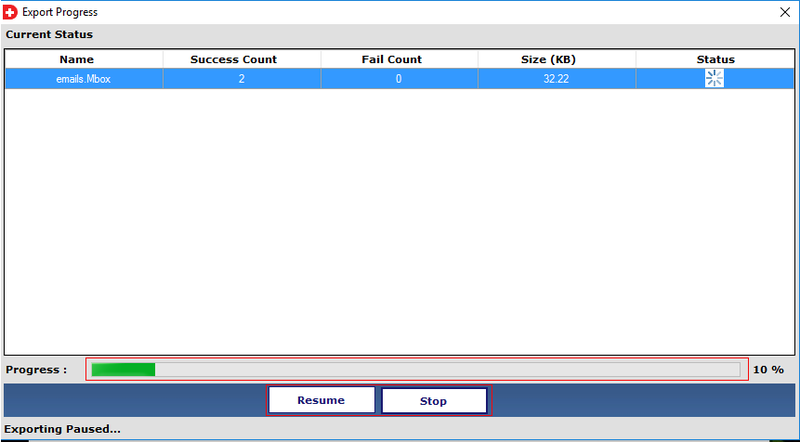 Both options will help you to perform bulk MBOX files migration. 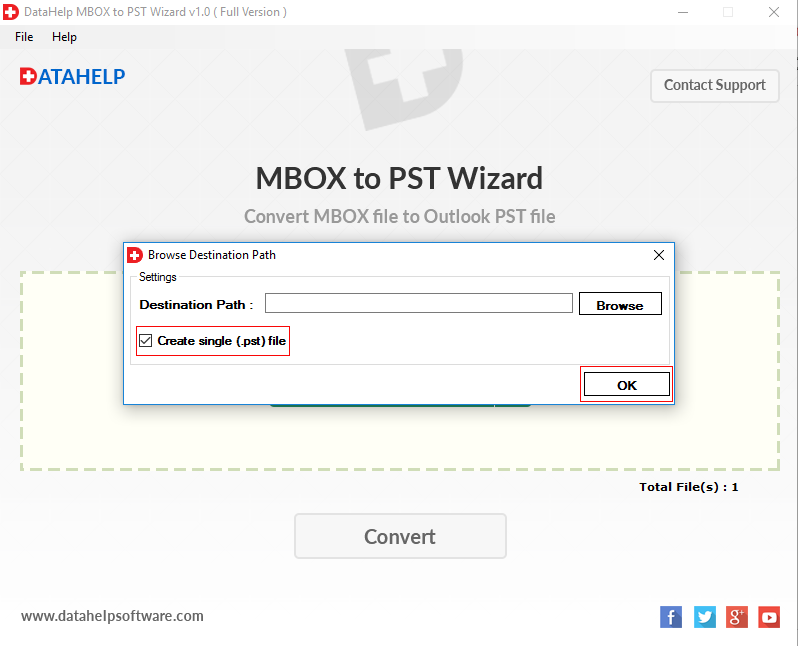 MBOX to PST conversion tool not only export .mbox files it also allows you to converts .mbx mailboxes to Outlook importable PST format. After conversion of .mbx files, you can import converted files into Outlook 2016, 2013, 2010, 2007, 2003. MBOX converter wizard creates UNICODE PST file extension which is supportable in Outlook 2016, 2013, 2010, 2007, 2003, but it does not require Outlook installation on your machine to perform MBOX/ MBX file migration. This utility work independently to transfer 21+ email clients mailboxes to PST. The software will maintain on-disk folder structure of MBOX files into PST format. After conversion, you will find the exact same on-disk structure of files in PST file, it will maintains folder hierarchy of files. With this trial edition you can export only 10 items per folder. 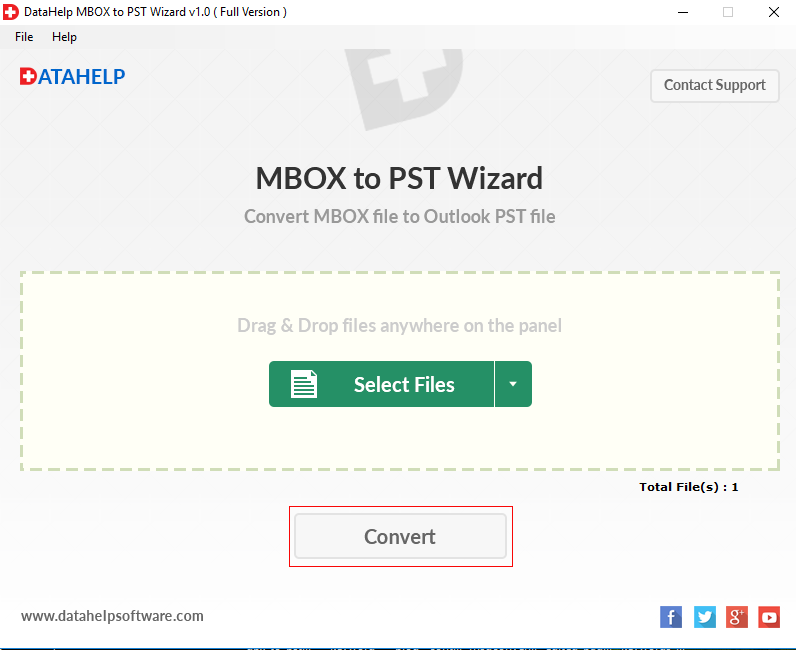 How to convert MBOX mailbox to PST by using the software? 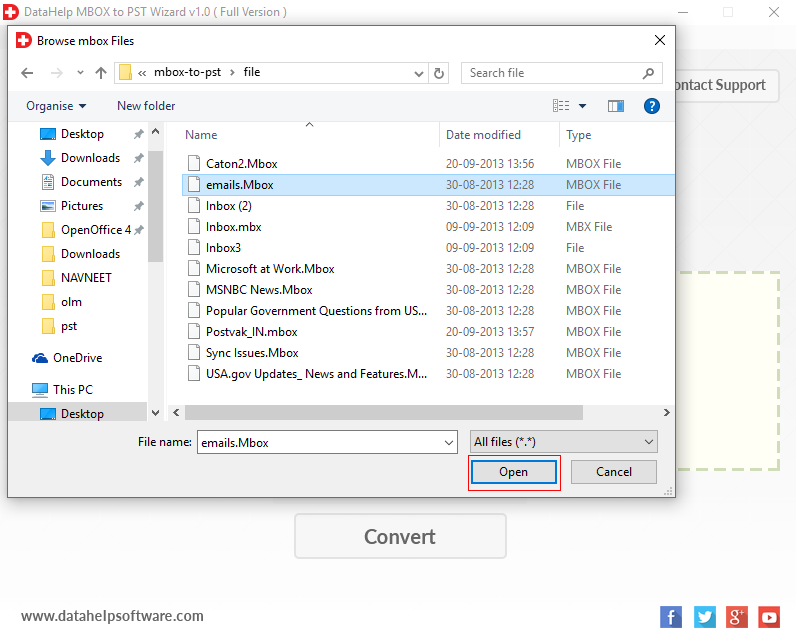 Now, software export entire data of MBOX files and save into Outlook compatible PST format. Does MBOX to Outlook Converter allow users to export only selected files also? 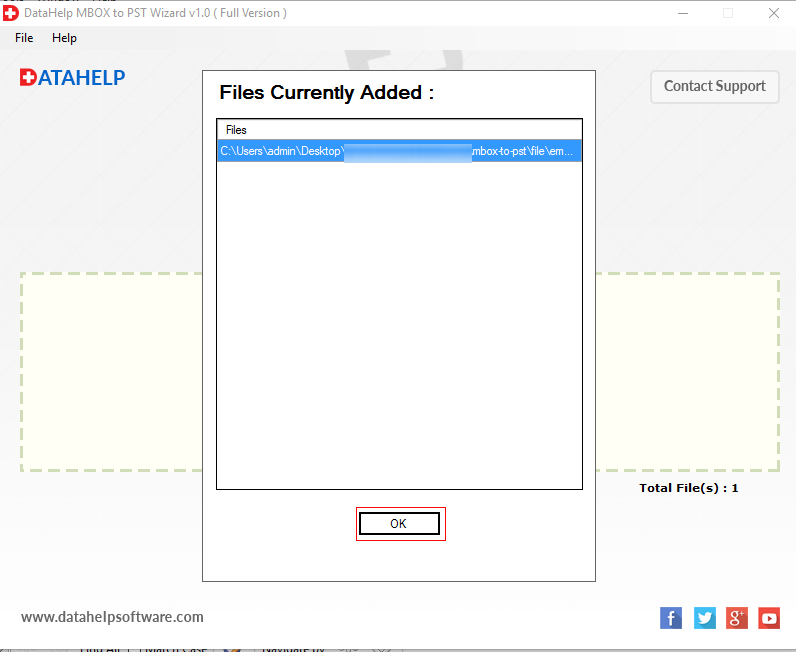 Yes, the MBOX converter allows users to export select MSF/ MBOX files to PST also. They just need to drag the selected file and drop them anywhere in the software panel. 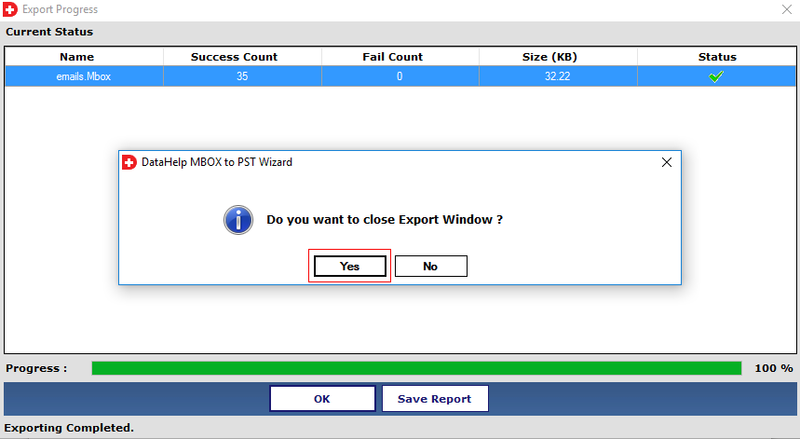 The MBOX to Outlook converter software can export selected MBOX file in this way also. 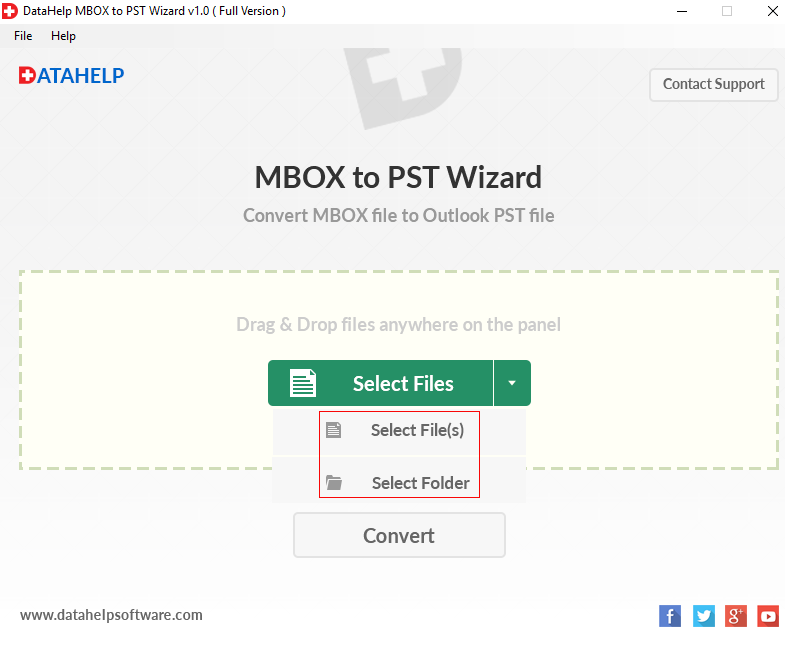 Is it necessary to install MS Outlook to perform MBOX to PST migration? No, MS Outlook installation is not required to export MBOX file to PST format with this software. MBOX converter is a standalone application, you can perform conversion without the need of any extra software installation or configuration. 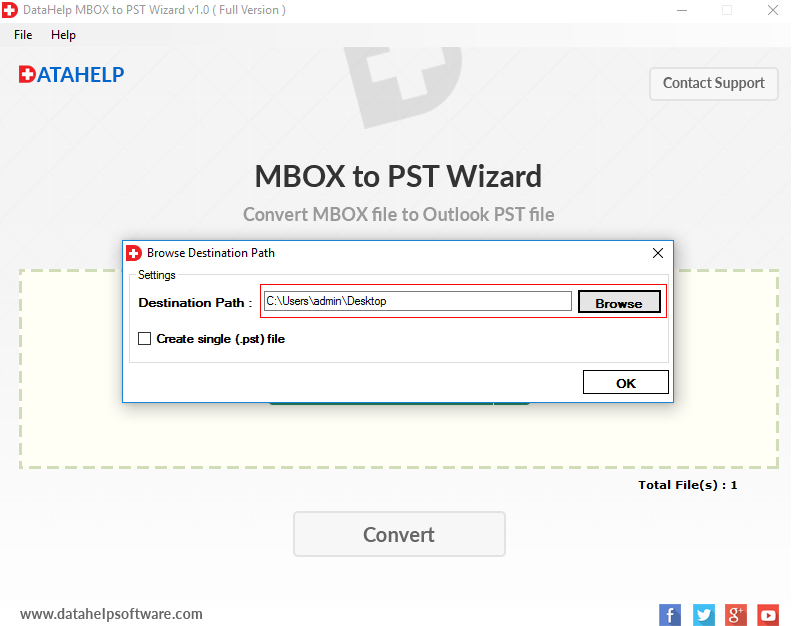 Is this MBOX to Outlook converter is totally free of cost? Yes, the MBOX converter is available free of cost and can easily be downloaded from the official website, but has some limitations like it will export only first 10 items from MBOX file to PST format. Is there any MBOX file size limitation to perform migration? No, there is no file size restriction while exporting MBOX files to PST file. You can easily convert large size MBOX mailbox to PST without any file size restriction. 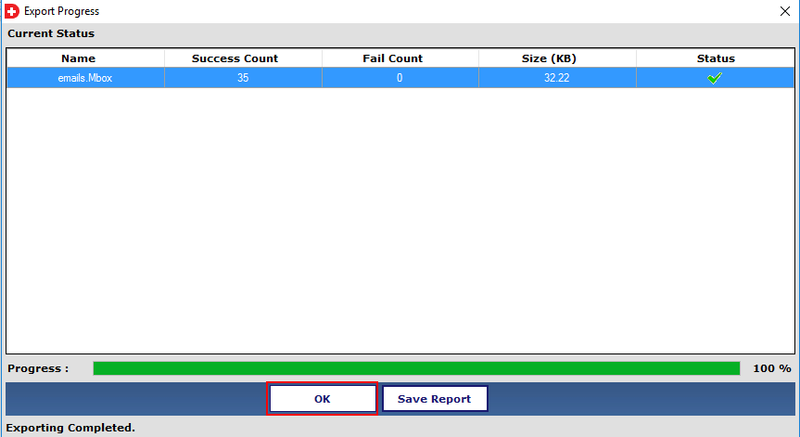 The software can maintain progress report after completion of conversion? Yes, MBOX converter generates progress report of the complete process and allows users to save it in CSV format for future reference. Does this converter allow users to export only selected files from folder? Yes, with the help of this MBOX to PST Converter tool one can easily export only selected MBOX files to PST format. If I want to convert multiple MBOX files at a time, how much time it will take to convert all the files? It depends on the size of files, If you convert large files then it will take some time. If you convert small files then it does not take much time to perform the task. How can I merge multiple MBOX files to PST format? This MBOX to Outlook wizard provides facility to convert multiple MBOX files like Inbox, Sent, Trash, and other mailboxes into a single PST file. To combine all MBOX files you need to check "Create Single (.pst) File" option, after that software merge all MBOX files into a single Outlook PST file? "I was fed up of always performing a manual procedure to convert MBOX file in PST format and to access them in MS Outlook. Most of the times, things goes wrong and I lost some of my data also. 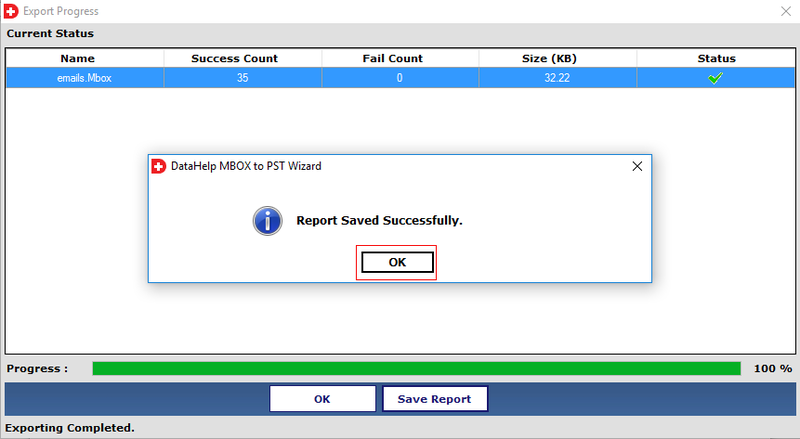 After that, someone suggested me this MBOX to PST converter Wizard. I must say that this converts all my MBOX file into PST format in 3 clicks. It is such an effortless solution for a user like me. DataHelp Development team was done Great work. Thanks for the tool." "I liked Drag and Drop option of this MBOX to Outlook Converter Software. I just simply need to drag and drop the selected MBOX file to perform selective file conversion. I am also going to suggest this software to my friends also to perform this MBOX to PST file conversion in such a simple way, without any technical knowledge. Thanks to MBOX Converter." 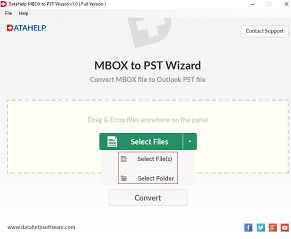 "To migrate multiple MBOX files into a single PST format was not possible for me with any methods or tricks & technique, so after searching over the internet I have found this tool which can import .mbox files into PST in an efficient manner. 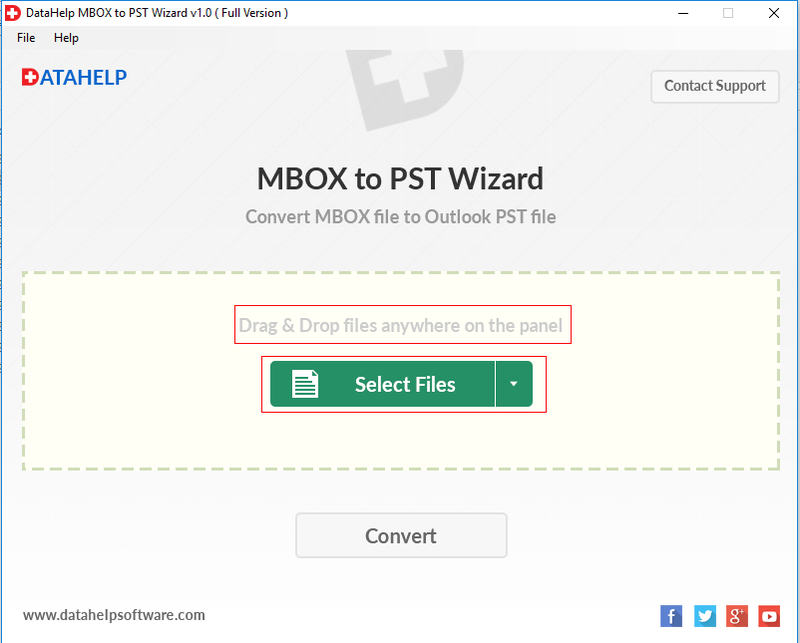 I appreciate this software because it provides an option in which I can create a single PST for multiple .mbox files & save converted file at any desired location"